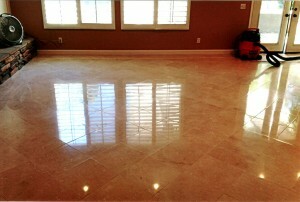 Travertine cleaning and polishing in San Clemente, CA. These results can be yours, call (800) 408-2254. Before our departure from your house, we will make our customers are knowledgeable regarding the upkeep of their natural stone. 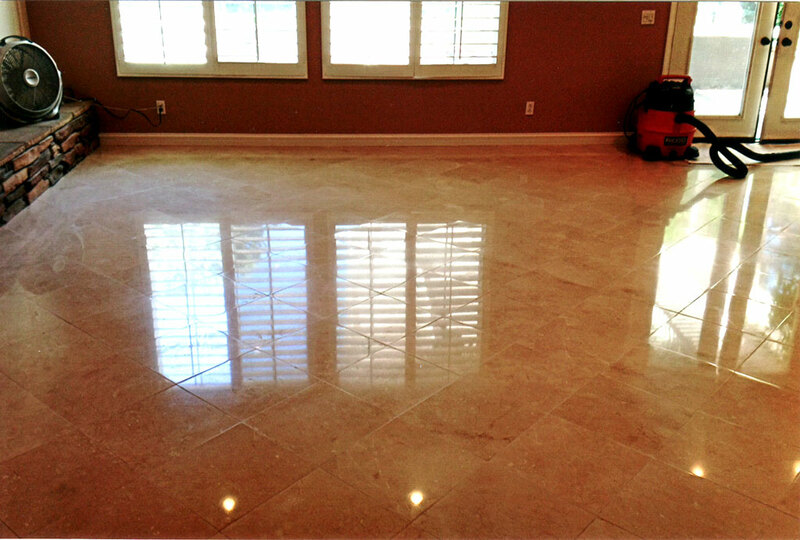 Many cleaning products contain phosphates, bleaching agents or acid properties that are detrimental to travertine. We recommend regular sweeping and vacuuming as well as damp mopping once a week with a pH neutral cleaner. This product will clean deeply without affecting or removing the penetrative sealer which we applied. 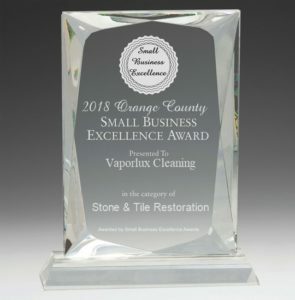 Regular maintenance will preserve the stone for years to come. We also recommend having a spray bottle of neutral cleaner handy for individual spill or mishaps. Olive oil can be one of the worst offenders, so be prepared! If you have a travertine floor that needs expert cleaning or you want to learn more about care and maintenance contact Vaporlux Cleaning at 714.330.0973 for a free quote.